Kingfisher Packaging is accredited to BRC Global Standards for Storage & Distribution on both our sites with the highest possible grades. BRC is designed to reflect best practice and facilitate a process of continuous improvement through well-designed risk-based product safety management systems. The internationally recognised Standard ensures that you, our customer, receive yet an even higher standard of commitment from us as your packaging supplier of choice. Click here to download our BRC Storage & Distribution Certificates for both sites. 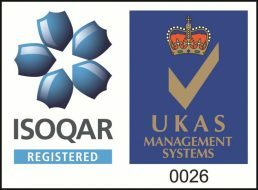 Our ISO: 9001 accreditation certificate governs our commitment to maintaining consistent standards of product quality and service. Click here to download our ISO: 9001 and ISO: 14001 certificates. Our ISO: 14001 accreditation certificate means that we are committed to finding ways to reduce the impact of our activities on the environment on a year to year basis. As an ISO: 14001 certified organisation we have implemented quality management system requirements for all areas of the environment with which we come into contact. Click here to download our ISO: 14001 and ISO: 9001 certificates. By working with Citation Professional Solutions, Kingfisher Packaging are focused on compliance in both Health & Safety and Employment Law. As Kingfisher Packaging rely on experts for support in these areas, you can be confident in our commitment to the safety and wellbeing of staff and clients.